What is a mask but a hat that extends over your head. 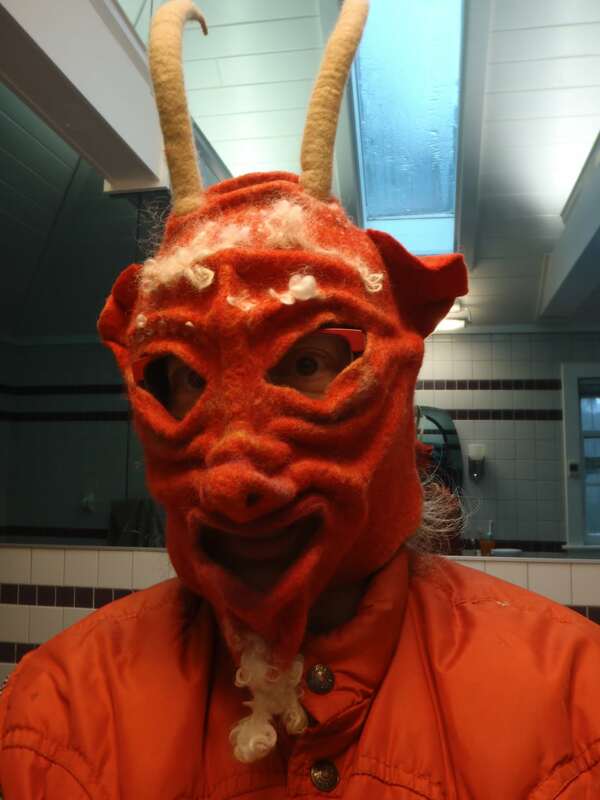 Krampus was created in response to a December invitation to take part in a Krampus walk. This was a warm solution.